After seven X-Men movies (eight if he really is in X-Men: Apocalypse) over 16 years, Hugh Jackman is giving his final performance as Logan, a.k.a. Wolverine, next year in Wolverine 3. As with his previous two spinoffs, the metal-clawed mutant will be getting into a lot of trouble, and that will inevitably lead to him being pitted against a new adversary. 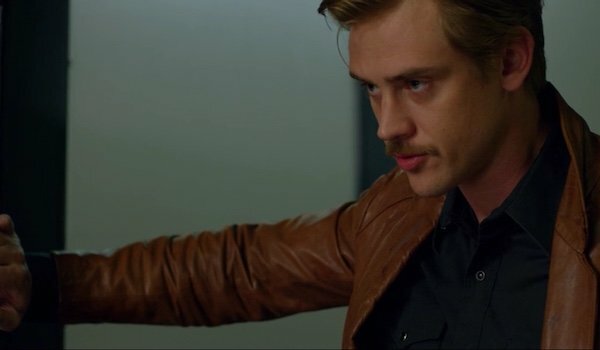 Now there’s word that Narcos star Boyd Holbrook has been added to the threequel as the main villain. According to a report from Deadline, Holbrook’s character is a "relentless, calculating and intense" head of security for a global enterprises that has his sights set on Wolverine. No name was provided with the description, so it’s hard to discern whether he’ll be an original character or someone from the comics. Either way, if this guy is as skilled and resourceful as the description makes him out to be, it won’t be easy for Wolverine to deal with him. Who knows, he may even have his own mutant ability to use against the eponymous hero. So who could this mystery antagonist be? While it’s certainly possible that Holbrook is playing a original creation, the fact that he’s labeled as the lead villain makes it more likely that he’s someone from the original source material. We should also keep in mind that this is Jackman’s final Wolverine movie and perhaps the last time the character will be seen in the X-Men movie universe, so they’ll almost certainly uses a recognizable villain rather than someone obscure. 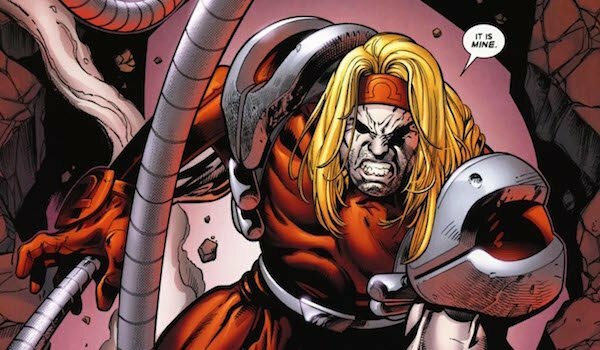 That’s why my main guess at the moment is Omega Red (seen above), a mutant whose abilities not only include super strength, durability and creating "Death Spores," but who also has retractable carbonadium coils in his arms. Omega Red, a.k.a. Arkady Rossovich, was experimented on by the KGB in the comics, but he could easily be changed to a security agent in Wolverine 3 who is enhanced either before or after his encounter with Wolverine. Boyd Holbrook is best known for playing Agent Steve Murphy in the Netflix series Narcos. His other credits include the Hatfields & McCoys miniseries, Behind the Candelabra, The Skeleton Twins and Gone Girl. Before Holbrook, the only other actor until that was confirmed for Wolverine 3 besides Jackman as the metal-clawed mutant, was Patrick Stewart reprising Professor Charles Xavier. Few plot details have been released concerning Wolverine 3 since it was announced in October 2013. While Jackman mentioned last year at San Diego Comic-Con that it would be based on the Old Man Logan story, that has yet to be confirmed by 20th Century Fox. The last major update concerning the feature was that the studio was aiming for it to be R-rated, which would make it the second X-Men movie to ear such a rating, preceded only by Deadpool. It’s also rumored that Liev Schreiber might reprise Sabretooth, which, if true, would give Logan yet another enemy to battle in his third solo adventure. Wolverine 3 claws its way into theaters on March 3, 2017.